Shashank Mani Tripathi and his team have been doing this every year for six years now. 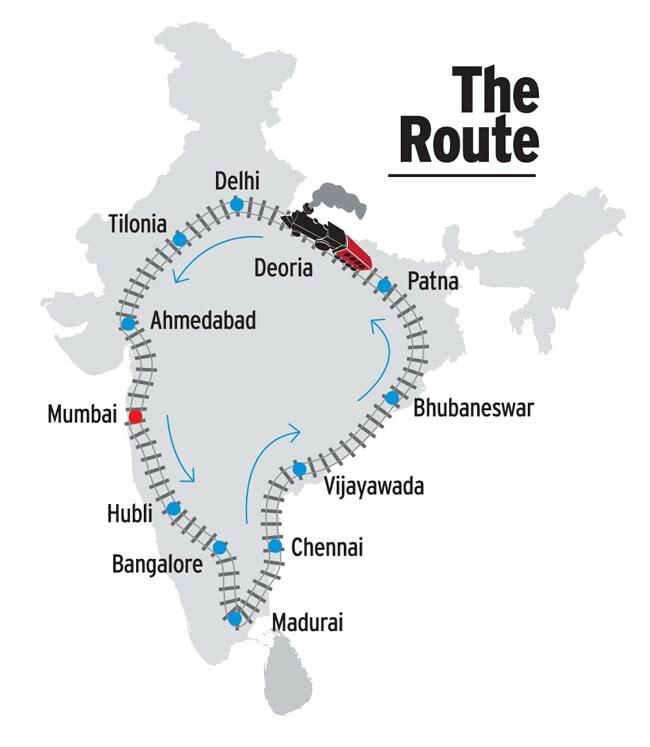 They take bright, young people from different parts of India on a 15-day, 8,000-km-long train journey, starting around Christmas and ending early January. 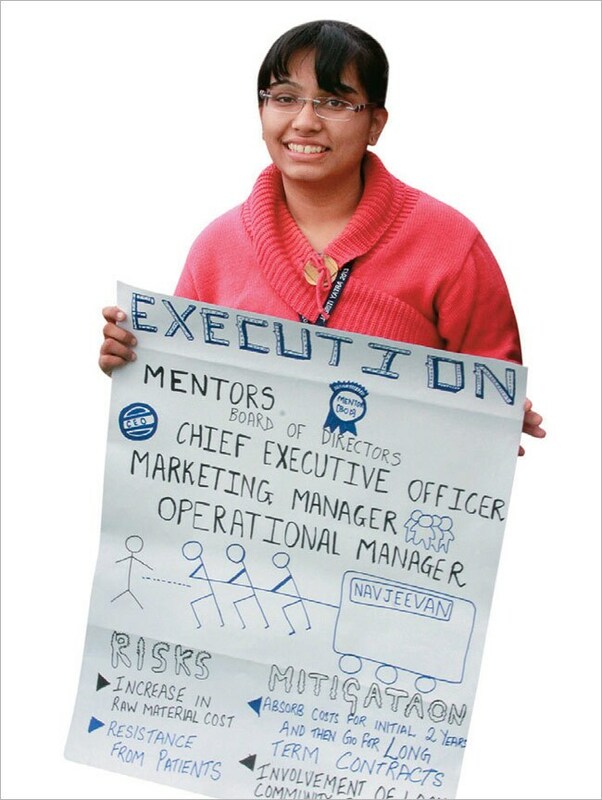 Tripathi, whose day job is as an executive director of consulting at PricewaterhouseCoopers in Mumbai, is also Non-Executive Chairman of Jagriti Sewa Sansthan (JSS), and the journey, called Jagriti Yatra, is an attempt to instill the spirit of entrepreneurship in young people. 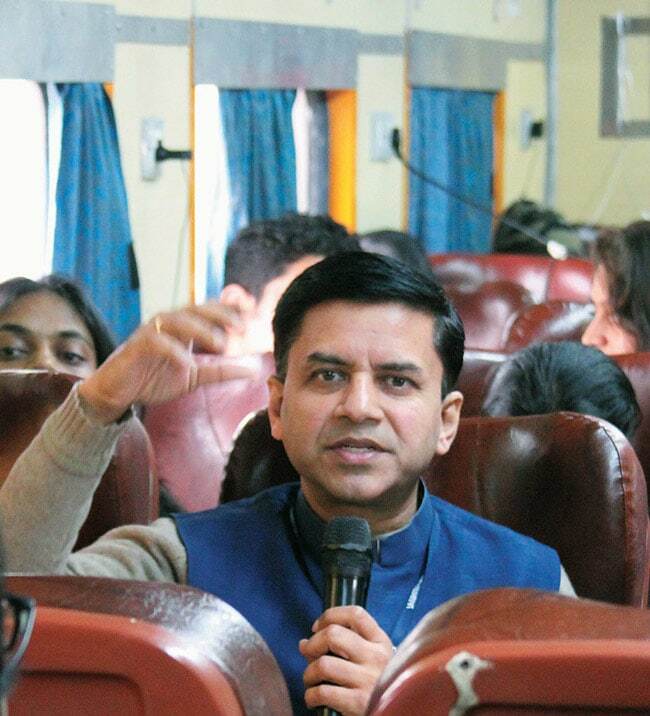 This time around, the yatra, with 400-plus youngsters on board, began on December 24, 2013. Along with Tripathi and another guest, Satyam Darmora, who works with the Michael & Susan Dell Foundation, I boarded the 18-coach train too, at Vizianagaram, Andhra Pradesh, on December 31. The yatra is all about the ideas and thoughts that coalesce when young people travel together. The organisers hope the meetings held in the course of the yatra will instill, in the hearts of at least some of those who attend them, a desire to change the way things are. "People should want to become job creators, not jobseekers," says Rewati Prabhu, a board member of the JSS. But she knows change will not come about immediately. However, there are people who have already been influenced. After the 2012 yatra, JSS came out with an impact report which noted that 212 enterprises had come up after the yatras over the years. The roots of Jagriti Yatra go back to 1997 when Tripathi, then based in London, decided to organise the first of his yatras to get a sense of how the country had changed in the 50 years since Independence. 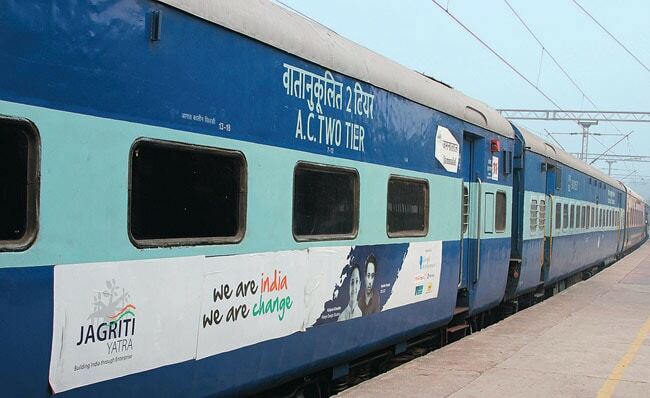 Called 'Azad Bharat Rail Yatra, it saw 200 like-minded people travelling by train for 22 days. Tripathi then went back to London and wrote a book about his experiences, India: A Journey Through a Healing Civilization. It created quite a stir, says Tripathi, adding that his friends suggested he make the yatra a regular activity. So, after the launch of his book in 2007, Tripathi started working along with his associates Prabhu and Raj Krishnamurthy to organise the first yatra. (Both are now board members of JSS.) 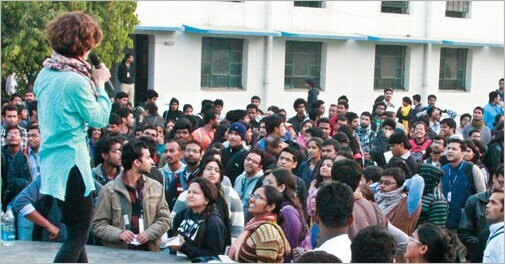 In 2008, the first of the Jagriti Yatras was finally held. Since then the annual event has grown increasingly popular, with the final set of yatris being chosen by the JSS from among a flood of applicants. But it hasnt been smooth sailing, what with one organisational hiccup after another. "Sometimes I think, 'Why am I doing all this when I can stay comfortably at home with my family? But when I meet the yatris and see their spirit, I know I am on the right track," says Tripathi. The journey begins and ends in Mumbai, with 11 stops along the ways - at Hubli, Bangalore, Madurai, Chennai, Visakhapatnam, Bhubaneswar, Patna, Deoria (Uttar Pradesh), Delhi, Tilonia (Rajasthan) and Ahmedabad. (This year the train skipped Visakhapatnam, stopping instead at Vijayawada.) At each stop the yatris meet entrepreneurial 'role models working in one or more of seven specific fields: agriculture, education, energy, health care, manufacturing, water and sanitation, and art, culture or sports. They visit specific institutions - such as Aravind Eye Care System in Madurai, which runs the chain of Aravind Hospitals, a model of affordable yet high quality health-care, or the Barefoot College in Tilonia, a 42-year-old NGO engaged in integrated rural development across various sectors. The role models mostly talk about their entrepreneurial journeys. But some yatris are role models in their own right too. Take Sangeeta Devi, who was part of the yatra I accompanied. She has set up two cooperatives of 20 women each to make jute products in her village in Jamoi district, Bihar. "I now want to start making bindis as well," she says. Or take Ramesh Ballid, from Kotigudda village in Raichur district, Karnataka. Having learnt English on his own, he now teaches the language to young men in his village to make them more employable. Govind B. Moghekar from Kolhapur, Maharashtra, holds five patents and has now launched a product which helps the blind communicate in different languages. Deoria, in eastern UP, from where Tripathi hails, was a special, overnight halt. Here, as part of an exercise called 'Biz Gyan Tree, the yatris were divided into around 44 groups of nine to 10 people each. The groups were given a few hours to visit villages nearby and then had to make a strategy presentation, detailing an actual problem in any of the villages visited and offering solutions. This exercise will extend to follow-up events in February and March. Twenty-three of the 44 teams which made presentations at Deoria will come back to make more detailed ones. The award-winning presentations will all get a prize money of Rs 1 lakh each. A host of corporate biggies support the Jagriti Yatra, among them Google , Coca-Cola, Rolls-Royce, Idea and National Insurance Co Ltd. "Jagriti provided a unique experience focused on enterprise-led development in smaller towns and rural India," says Adhi Kesarla, Principal, Business Development Group, Google, which has partnered with Jagriti Yatra for the past three years. "We were impressed by Jagritis ambitious goal of transforming young yatris into social entrepreneurs by exposing them to acclaimed role models." Neeraj Garg, Vice President, Coca-Cola India and South West Asia, is equally enthusiastic. "As partners in this endeavour, we aim at igniting the entrepreneurial spirit among youth and instilling in them the core values and passion for this field." Apart from sponsorships, the yatra is also funded through grants and fees paid by the participants. While about 80 per cent of the participants are sponsored either fully or partly, depending on their economic conditions, the rest have to pay the full amount. The yatra has given birth to numerous innovative ideas over the years, but Tripathi admits few of them have been implemented. Darmora, from the Michael & Susan Dell Foundation, wished the organisers would take the ideas to their logical conclusion. "Make the ideas into more concrete solutions and not only help these entrepreneurs with the initial funding, but also connect them to mentorship networks," he says. And as the yatris move on to bigger journeys after completing this one, Jagriti Yatra is also on a journey of learning on its own.